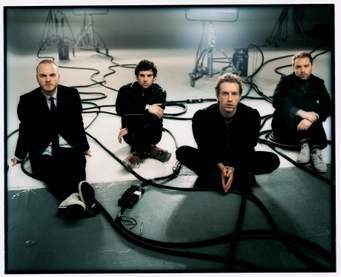 Coldplay are a British rock band formed in 1996 by lead vocalist and keyboardist Chris Martin and lead guitarist Jonny Buckland at University College London. Guy Berryman and Will Champion later joined the band as bassist and backing vocalist respectively. They have since grown to world wide fame and hasn’t looked back. Here are 10 amazing facts about Coldplay you probably never knew. Coldplay’s first official song, “Ode to Deodorant,” was written as a joke. The band members have a strict agreement among themselves that whoever is caught using hard drugs will be immediately shown the door. The song “Clocks” was used in the trailer of the 2003 film “Peter Pan,” though it did not feature in the film. Did you know that there are five different versions of the Coldplay song “Lost!” — “Lost+”, “Lost@”, “Lost?”, “Lost-” and “Lost!”. Coldplay’s first ever tour was The Carling Tour in 2000, sponsored by the British music industry publication NME. “Mylo Xyloto,” the title of Coldplay’s fifth studio album, has no meaning apparently. Chris Martin once said the band members felt the name had an element of freshness, even if its sounded ridiculous. However, they later regretted the decision since many fans could not pronounce the title properly, and a search on Google for the words’ meaning generated no results. Martin once took the London tube, the underground rail network, to perform at a Coldplay show at The O2 Arena. None of his fans, who were his co-travelers, recognized him. The band spent around £4.22 million (approximately $6.1 million) to distribute color-changing wristbands to fans during their 2001 Mylo Xyloto tour, which lit up for specific songs during the band’s performance. U.S. President Barack Obama is counted among the band’s millions of fans worldwide. Obama once admitted he listens to Coldplay’s music on his iPod.